I can’t help going back to these lovely motor cars, the DB18 Special Sports is fantastic to look at, lovely to drive and once properly sorted, virtually bullet proof! 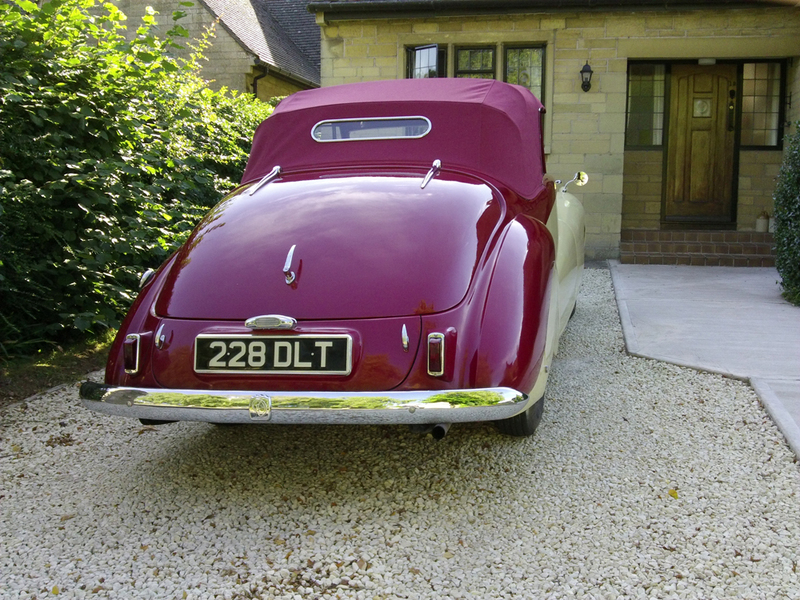 In early 2009 I purchased this project car from its second owner from new. 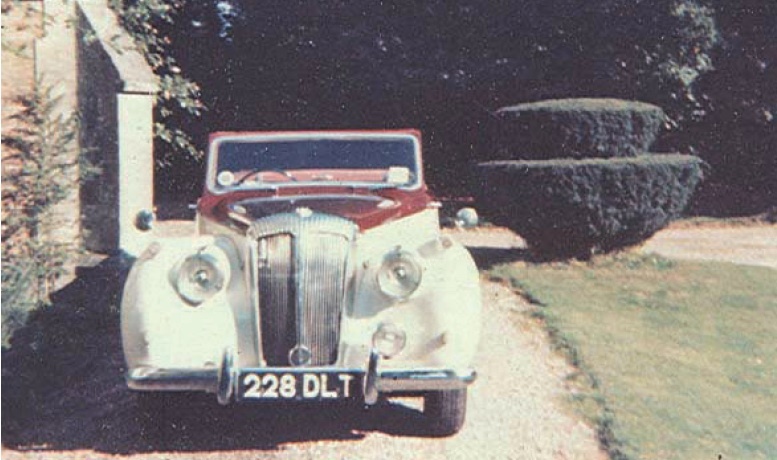 The Daimler was originally registered in South Africa (its early life spent in this warm climate was responsible for the car’s lack of corrosion). 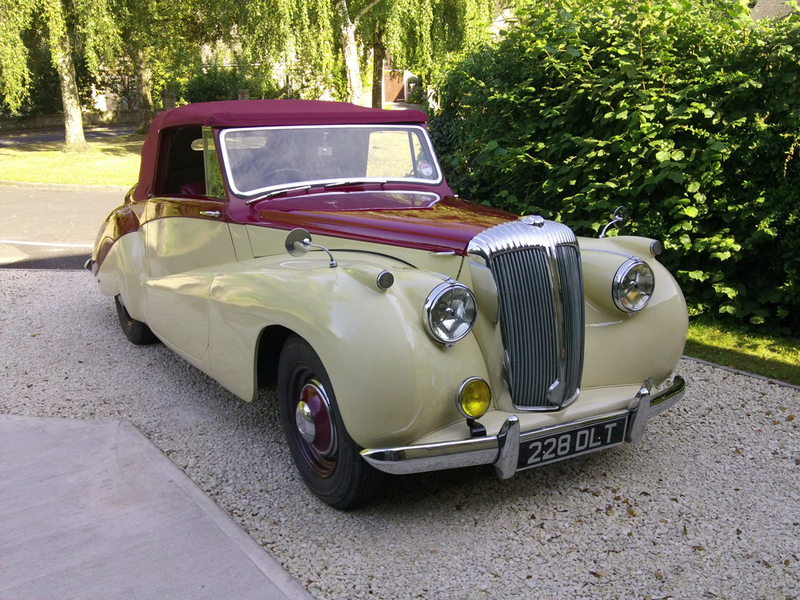 When the first owner, a retired army officer, returned to the U.K. he also repatriated his Daimler. 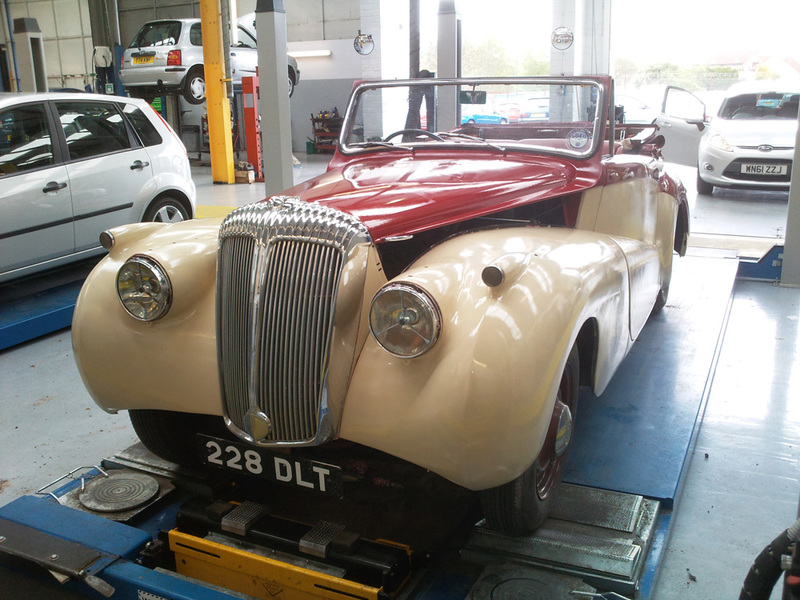 The car was only used on English roads for a short while, until it was sold on to its second keeper, who set about restoring the car. 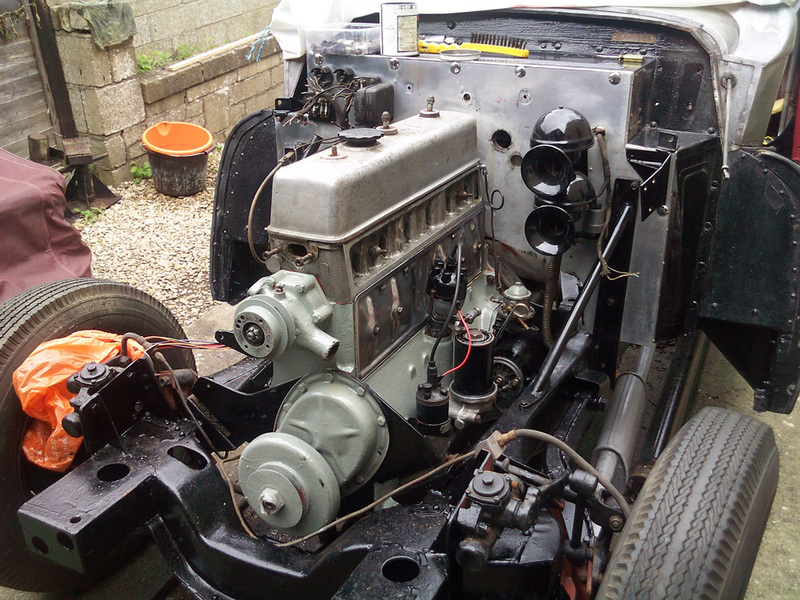 The Daimler was stripped to bare metal, the engine overhauled and much work carried out on the running parts, including having the steering box reconditioned, brake shoes relined, wheel cylinders re-sleeved, new floor boards fitted and a new wiring loom installed. 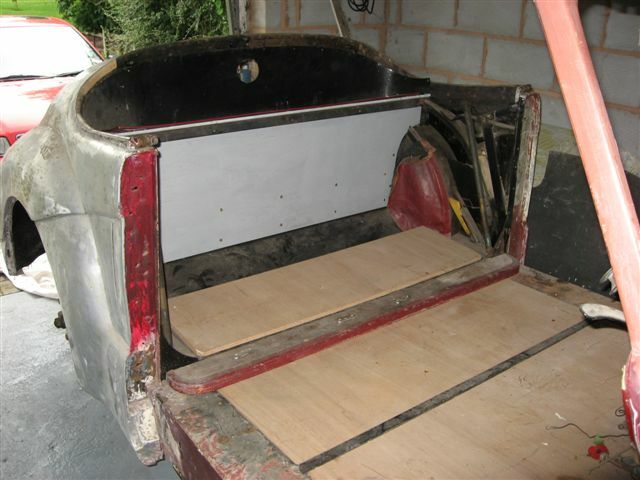 New marine ply floorboards have been fitted. 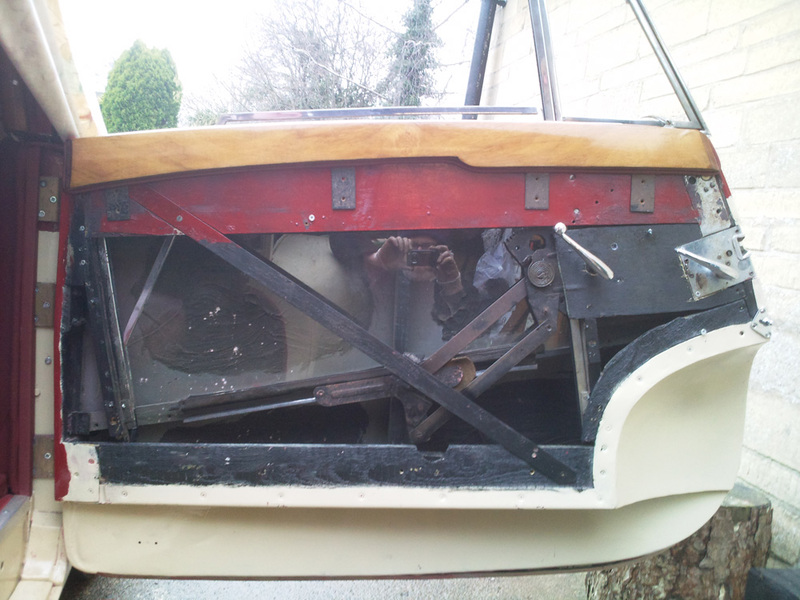 The new keeper’s other interest was sailing and restoring wooden dinghies, the skills required to refurbish these small boats proved useful when renovating the instrument panel and interior woodwork, which look particularly nice on this car. 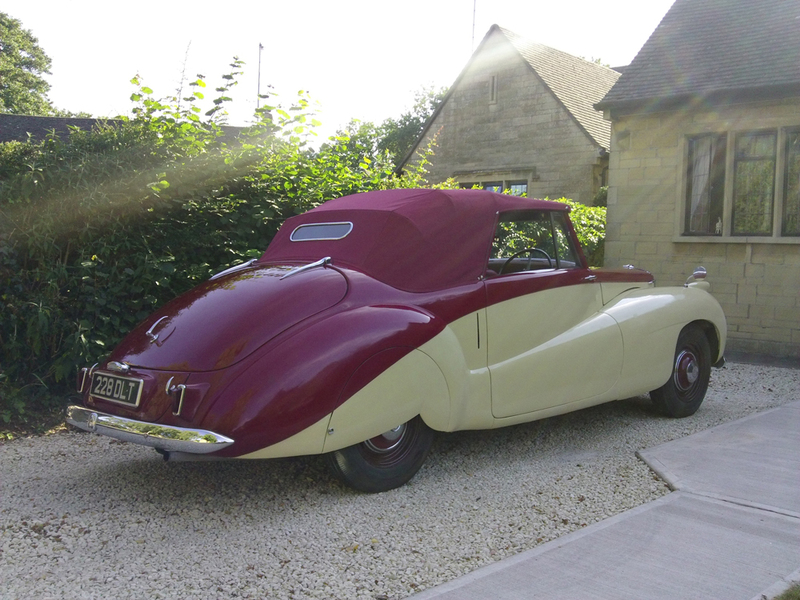 Unfortunately the restoration ground to a halt and the coupe remained in a dismantled state for the next 3 decades, luckily it was carefully stored in a warm, dry garage. 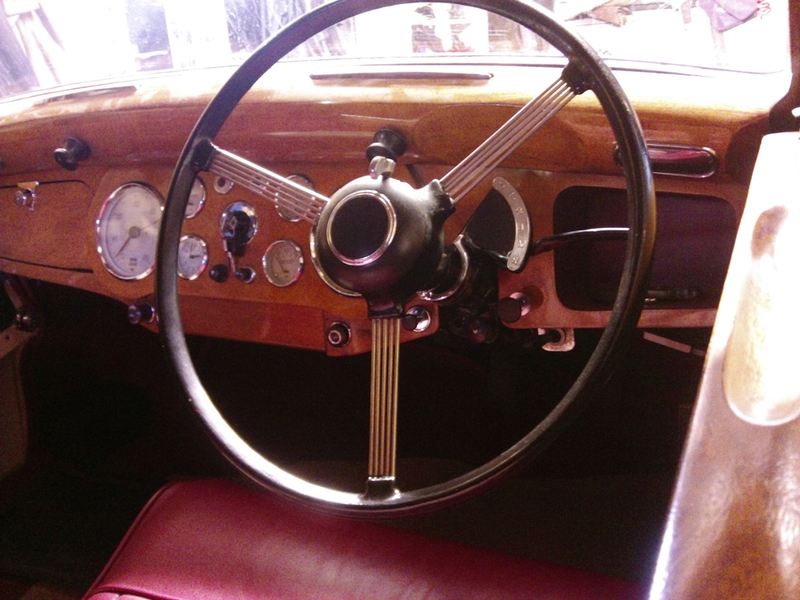 All woodwork has been re-polished and is in lovely condition. 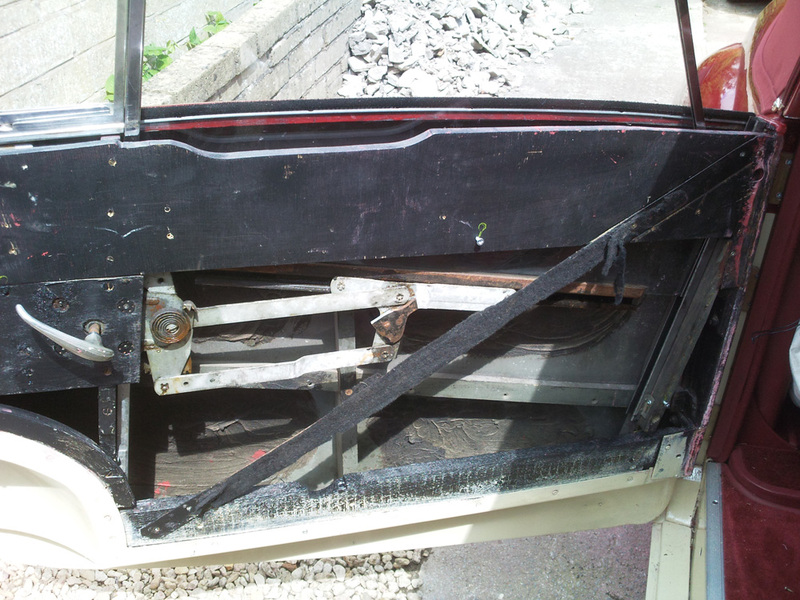 I purchased the partially dismantled car in early 2009 and was immediately impressed with the lack of corrosion, especially in the usually vulnerable places; the front bumper mounting boxes, the lower screen surrounds, inner door frames and trailing edges of the front wings, which were all virtually rust free. 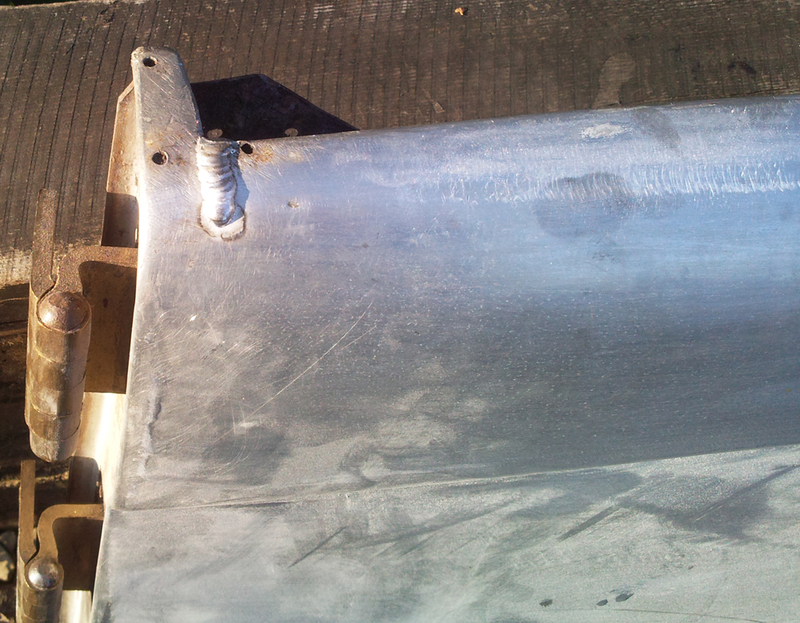 The small areas of corrosion were cut out, new repair sections fabricated and carefully welded in place (mainly around the side lamp pods, and a small area near one of the door drainage holes). 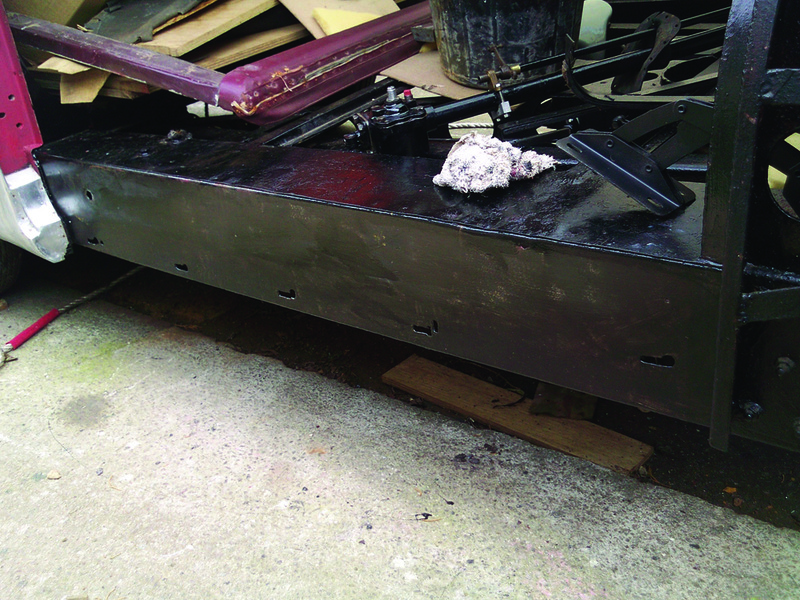 I then treated the repaired areas with a liberal coat of Jenolite, followed by an anti corrosive primer. 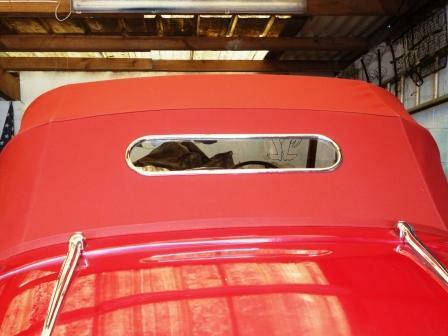 The alloy coachwork was in amazingly good condition, with just a couple of stress cracks on the top of the door skins, these were ground out and ‘TIG’ welded before being filed back to the original profile. 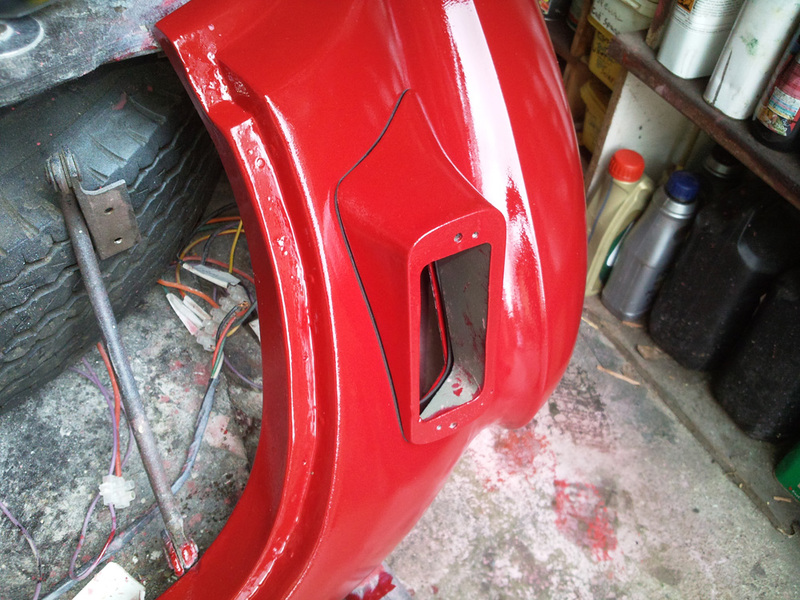 Numerous minor dents were dealt with and finally the car was treated to a full repaint in its original colour scheme of ‘strawberry and cream’ (arguably the best colour combination for this model). 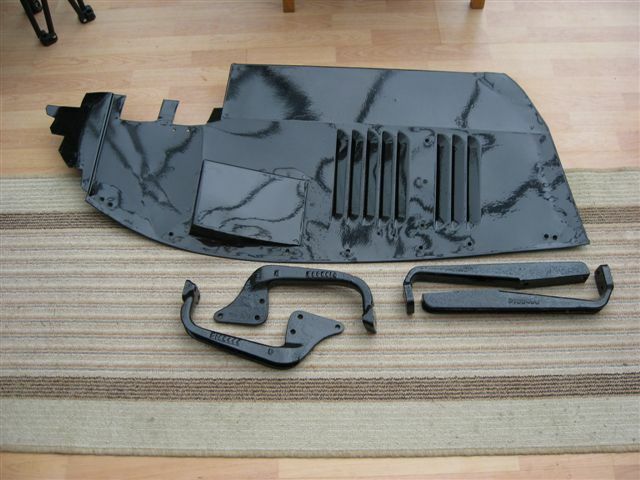 The following parts were re-plated: Bonnet stay and radiator support bars, windscreen surround, rear bumper, front bumper blades, over-riders and number plate frame, interior mirror, ash trays, rear window frame, door slam plates, boot hinges and lower boot door handles. 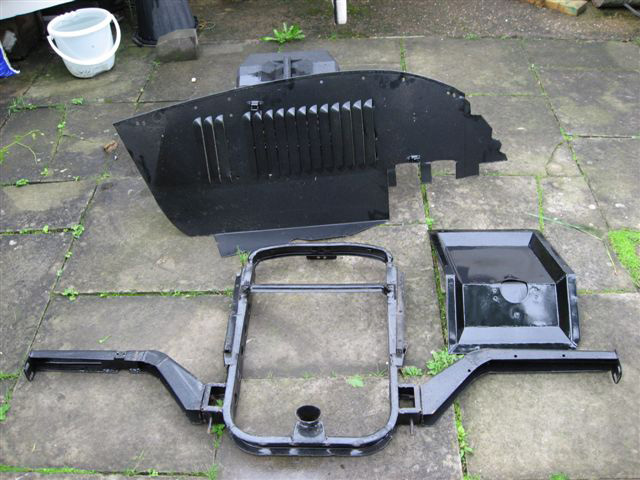 The other chrome plated parts, including the original grill are in lovely condition and did not require refurbishment. 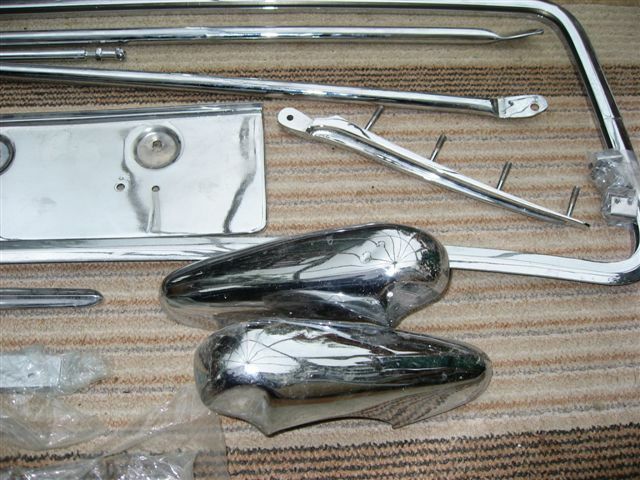 All of the chrome has either been re-plated or is in excellent original condition. 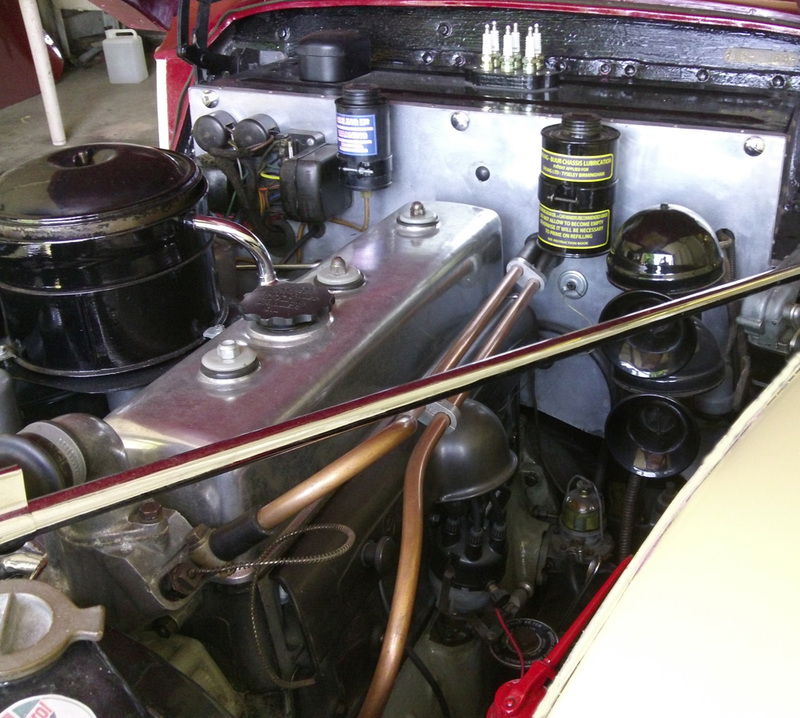 The engine bay has received much attention, the starter motor, dynamo, fuel pump, carburettors, voltage regulator, horns, oil filter assembly and water pump have all been stripped down, cleaned and reconditioned as necessary, the rocker cover and bulkhead have been lightly polished, the inner wings, radiator supporting frame, horns, bumper brackets and various other components have been powder coated to original specification. 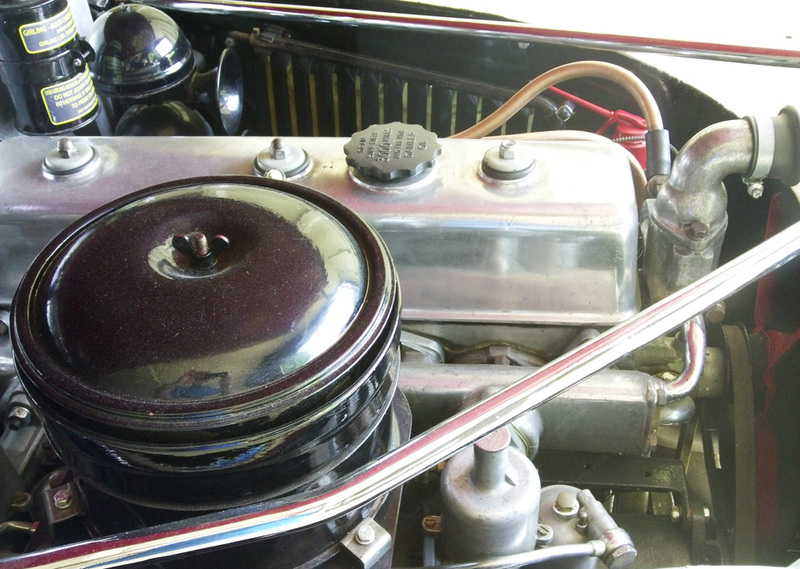 The engine bay looks as good as new and always creates an impression whenever the bonnet is raised! 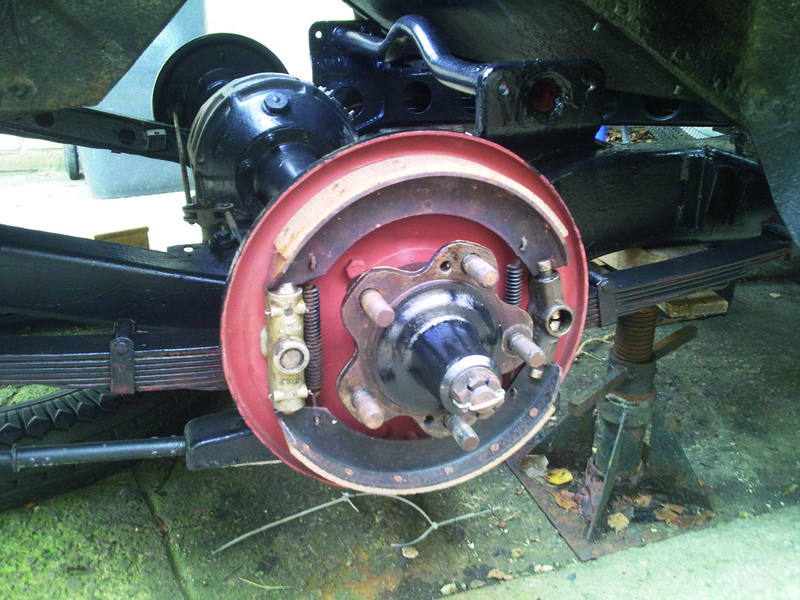 Virtually every moving component, including the fluid flywheel seal has been cleaned down, tested for correct operation and repaired as required, a new battery and exhaust system are among some of the new parts fitted during the renovation. 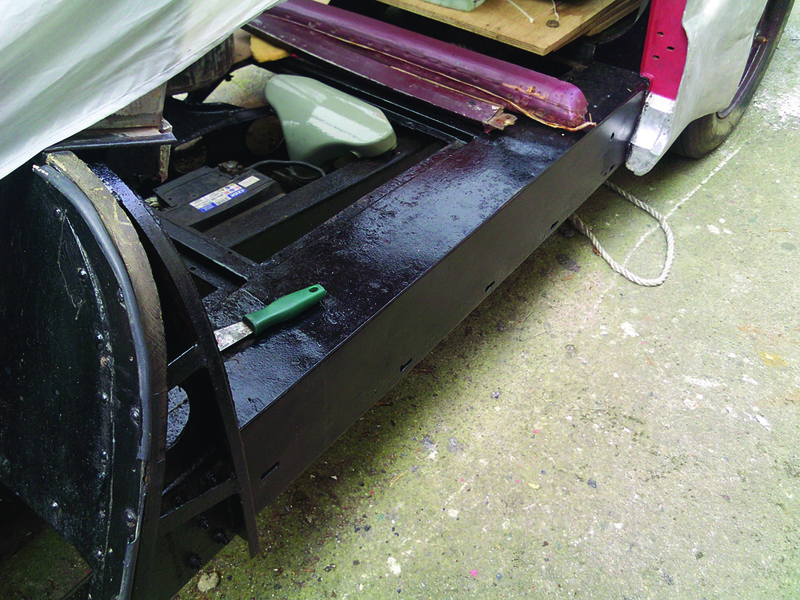 The Daimler has been used during the restoration process with a view to ironing out the faults that often come to light after a long term restoration. 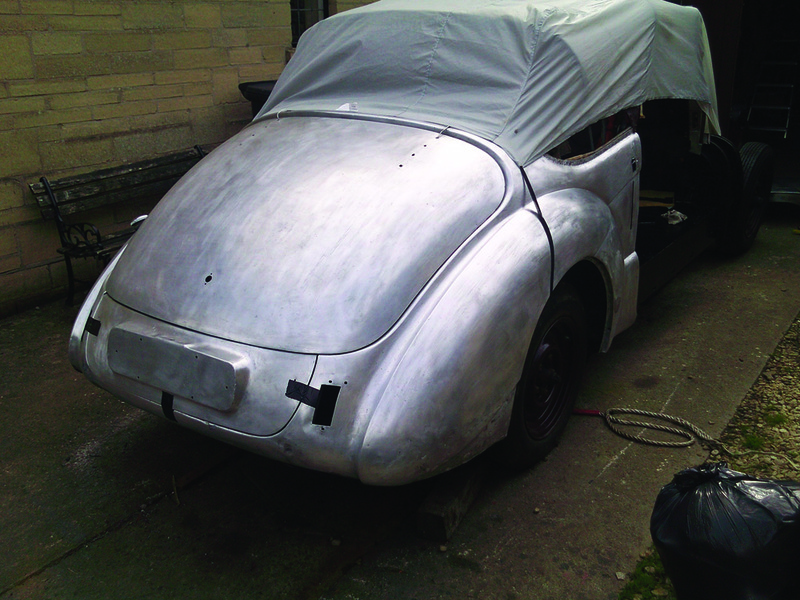 During the restoration the Daimler was exhibited at the Bristol Classic Car Show at Shepton Mallet, where, in its partially restored condition, it received a huge amount of interest (part finished projects always do). 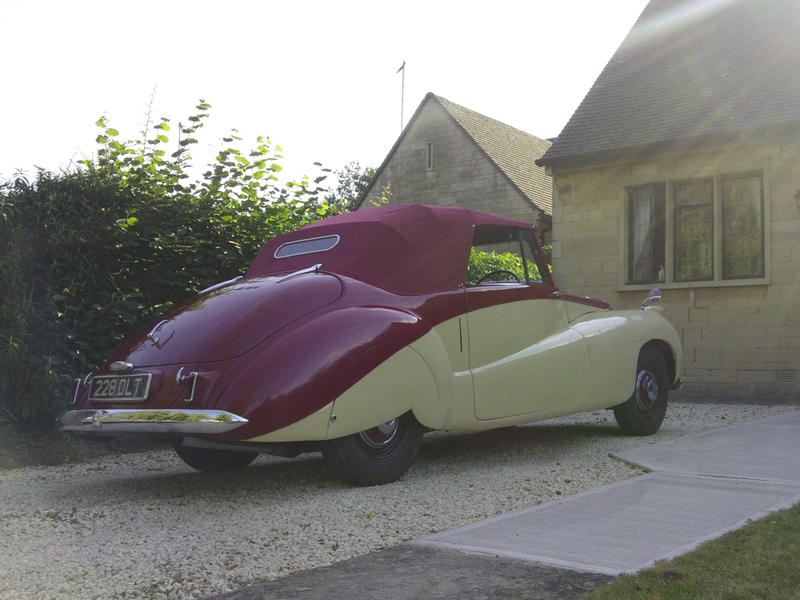 Since completion, the Special Sports has been used for ‘high days and holidays’, visiting many places of interest and being used as a summer’s day car. Although not deliberately driven in the rain, it has inevitably been caught out and I am pleased to say that the hood is water proof! 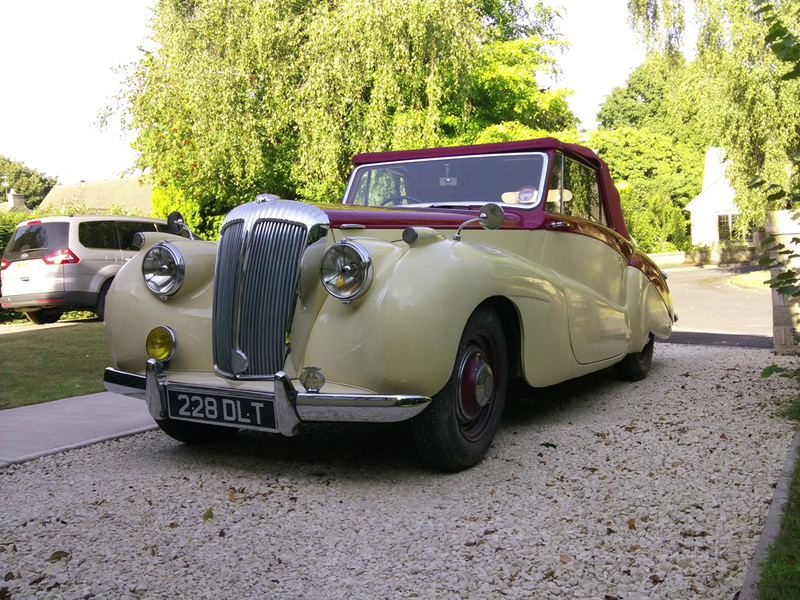 Used for both long distance tours and short journeys, the Daimler has proven to be completely reliable and very comfortable. 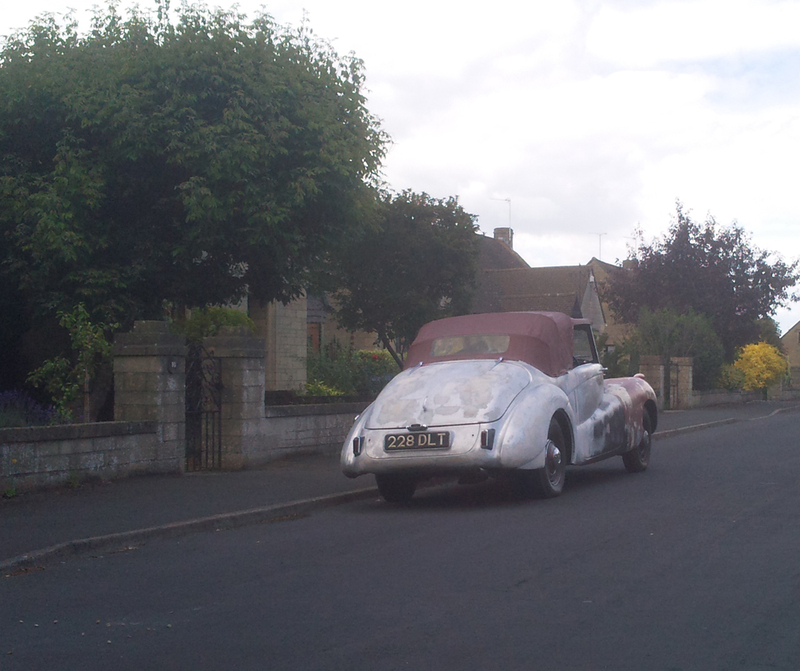 No expense has been spared on the renovation and maintenance of this superb touring car. 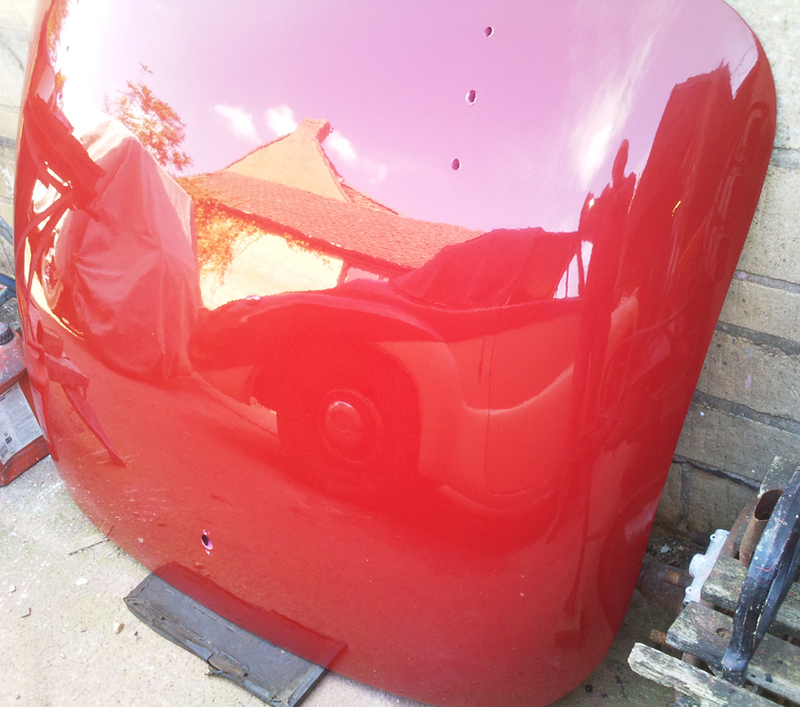 Bare metal repaint in original colours, bootlid awaiting fitting! 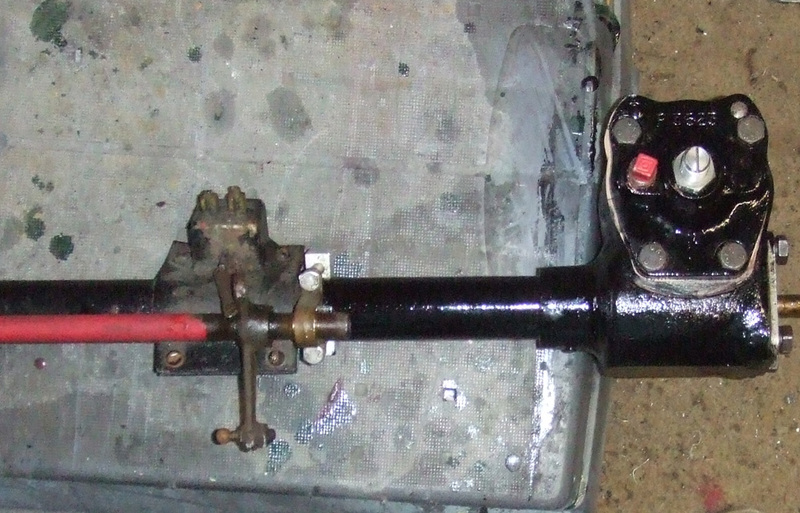 I have now forgotten half of the work carried out, name anything that you can think of that moves, it has probably been repaired or replaced! 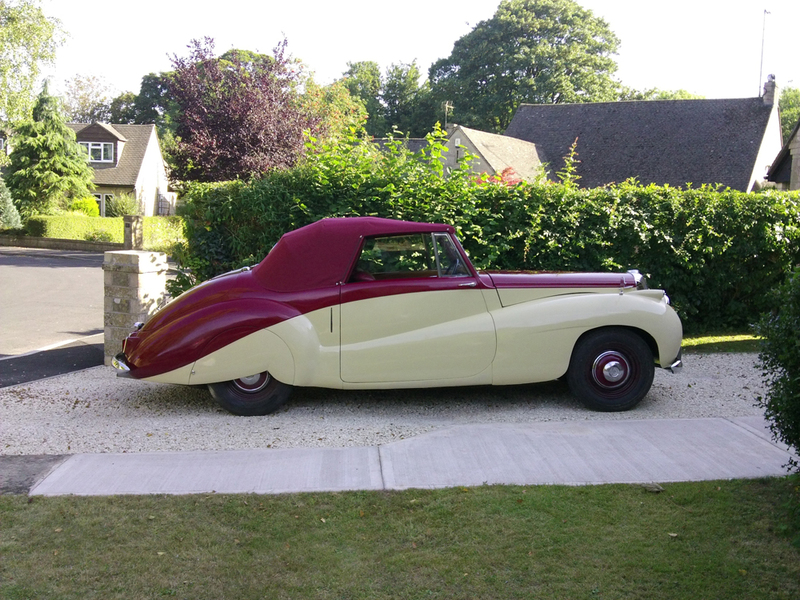 Thousands of hours and pounds sterling have been spent to produce the lovely motor car you see in the photographs, many more have been added below this text – please scroll down to see the work as it progressed and more photographs of the car as it is today. 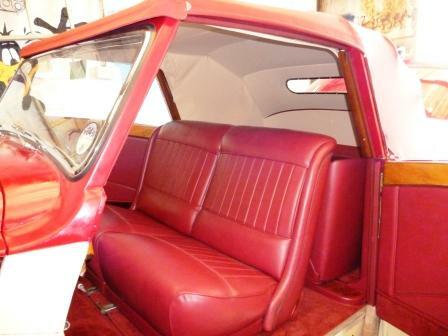 This particular car has now been sold to an enthusiast in Germany. 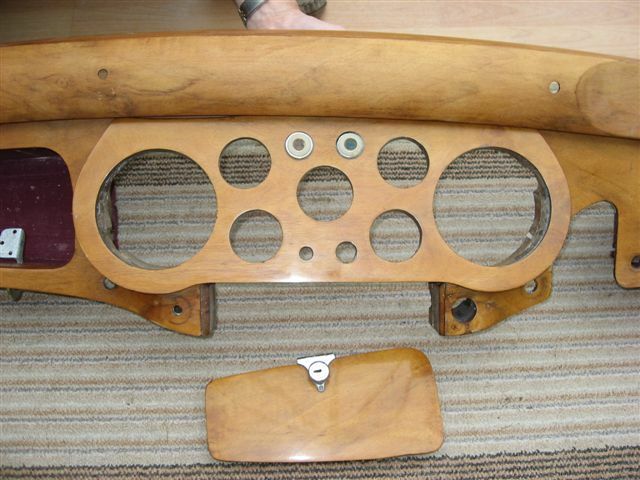 I am delighted that I managed to return what was a jigsaw puzzle into a lovely high grade touring car. 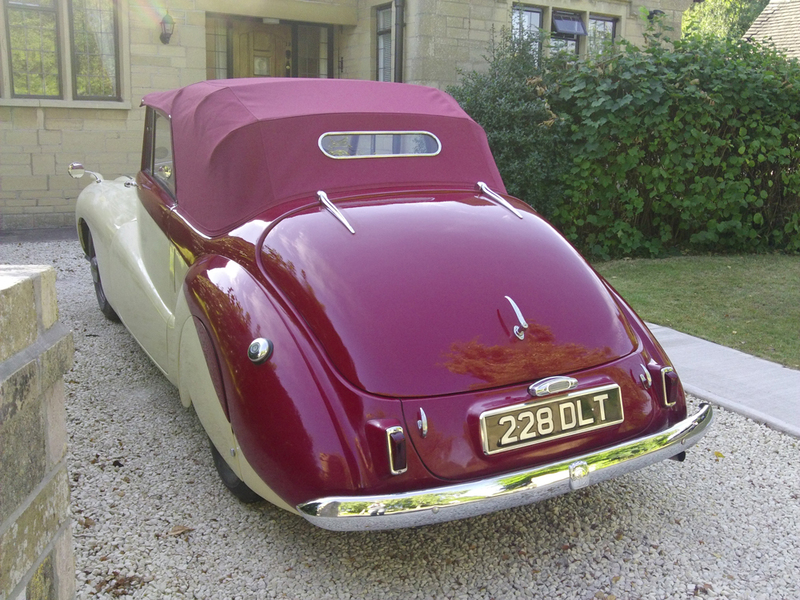 Seen here at Chipping Sodbury, during the Daimler’s second MOT – which it passed without advisory.